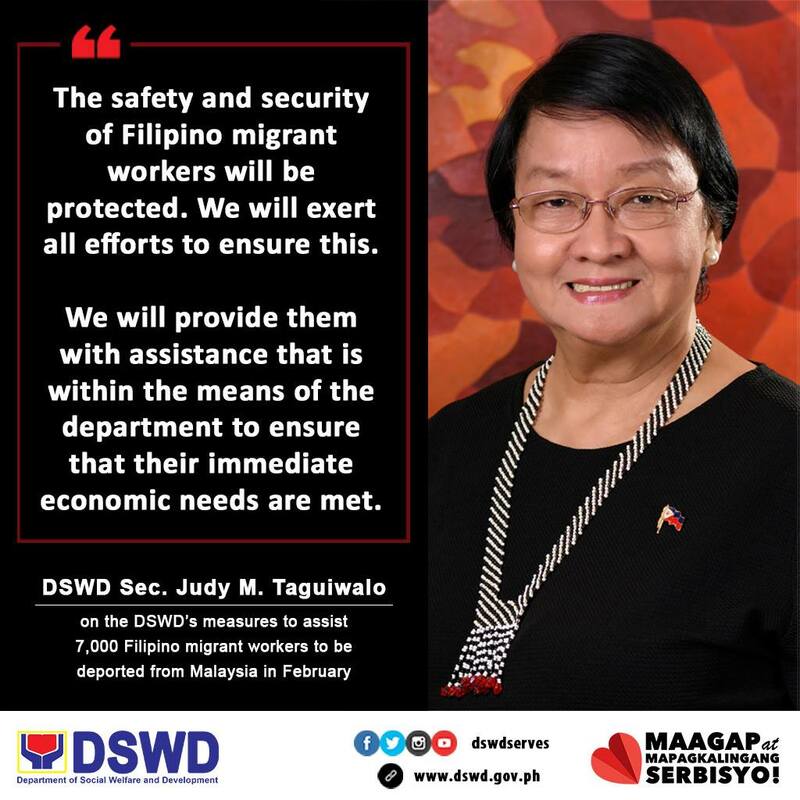 From Sandakan, Sabah Malaysia, 7,000 Filipino migrant workers will be deported to Zamboanga this February. 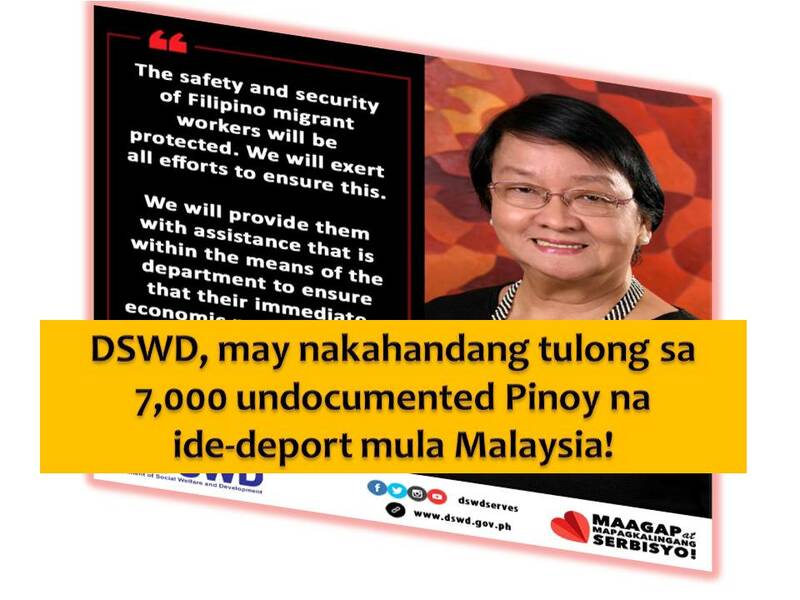 It says the deportation will start on February 12. 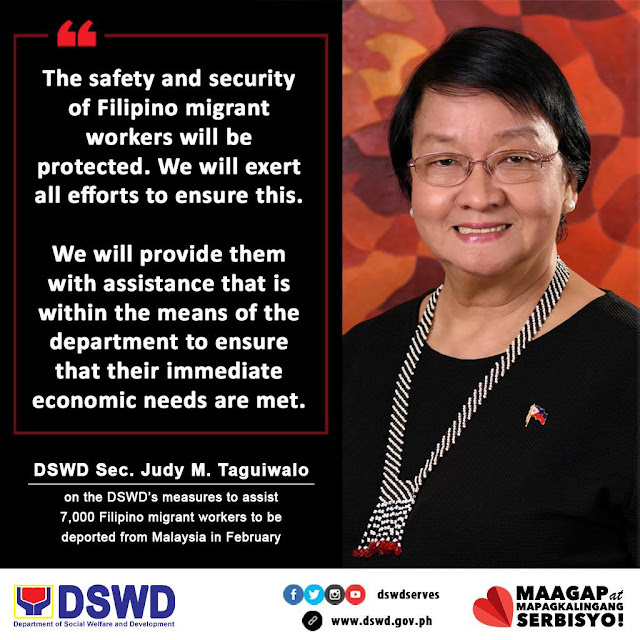 Department of Social Welfare and Development (DSWD) Secretary Judy Taguiwalo confirmed the news as her agency prepares for assistance to those who will be deported. This is a part of mass deportation according to Malaysian Chief Minister Datuk Seri Musa Aman after it was finalized when Prime Minister Datuk Seri Najib Tun Razak and President Rodrigo Duterte reached an agreement during Duterte’s visit to Kuala Lumpur last November. According to the report, Duterte gave his full cooperation on the deportation while Malaysia commits to loan its naval ship to transport undocumented Filipinos.